We have some awesome gear to show your support of the Santa Ynez Valley Botanic Garden while making you look good too! Wonderful quality cotton shirts with the signature Santa Ynez Valley Botanic Garden Logo across the chest. Available here in White and Light Gray. 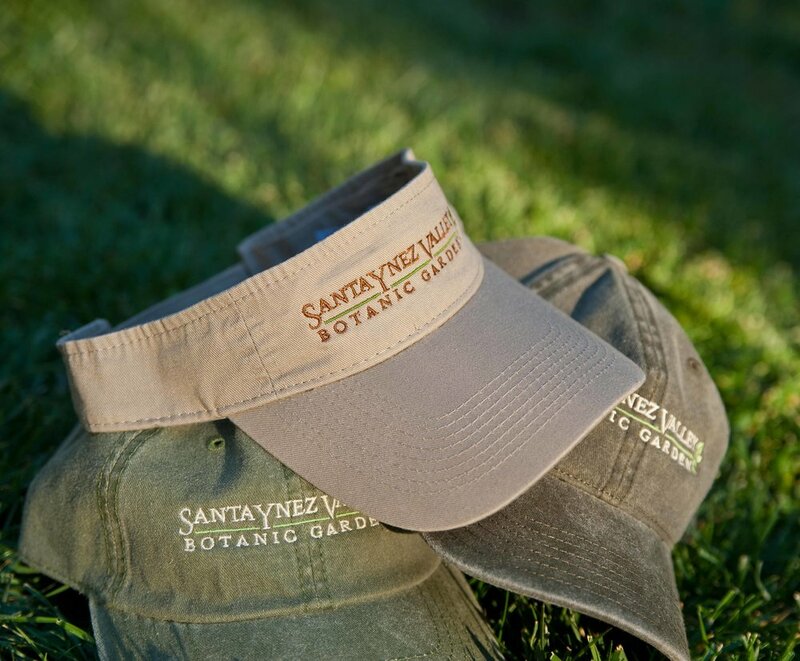 Great quality hats and visors beautifully embroidered with the Santa Ynez Valley Botanic Garden Logo. For sale at our various events and workshops or contact us if you’d like to arrange an order. Wonderful quality cotton shirts with the signature Santa Ynez Valley Botanic Garden Logo across the chest. Available here in Dark Gray and Green.